The ThINKin' Spot: Peachy Keen Hopping Fun Tomorrow!! Good Monday morning to ya! Did you have a fabulous weekend? I sure hope so, and I'm fixin' to get your Monday off to an exciting start! 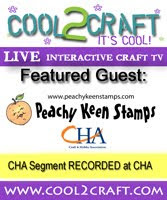 How about some news of another fun Peachy Keen Blog Hop, filled... I'm tellin' ya FILLED with great Halloween cards and projects, oodles of prizes, and if that's not enough, how about a sale? 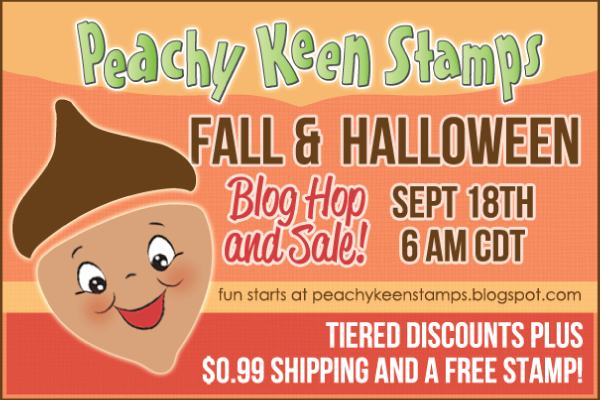 Oh yeah, a sale, INCLUDING a FREE STAMP!! 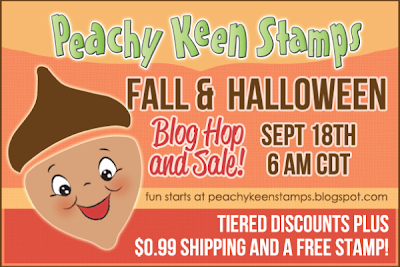 Join us tomorrow beginning on The Peachy Keen Stamps Blog for our Halloween/Fall Blog Hop. It's gonna be SO much fun! Looking forward to hopping and seeing YOU tomorrow!! Have a wonderful day and happy stamping to ya!! Amazing as always such beautiful coloring!! !